Photo taken at sunset at the old pier in Glin in Co. Limerick. 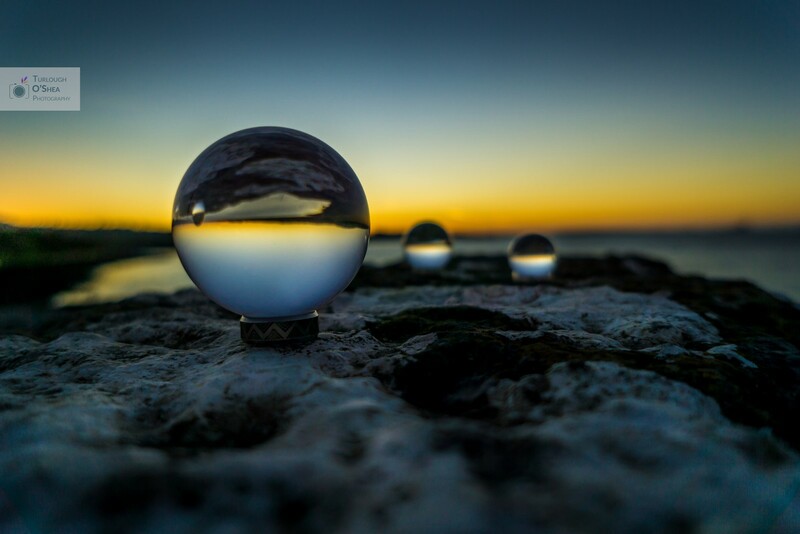 The sunset wasn’t very dramatic or in the area that I would have liked, so I decided to use the glass spheres to try and create a more striking image.